Served in Silence - The struggle to live authentically. Signed Copy - Ordering a signed copy of Served in Silence here benefits our community partner, Rainbow House Coalition. RHC is a support organization and shelter for homeless LGBT Youth of Atlanta. 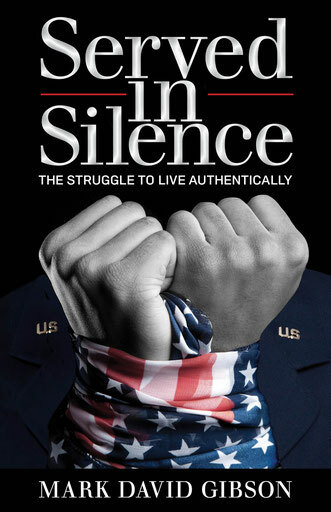 Retired U.S. Air Force Captain Mark David Gibson makes his debut as an author with his memoir, Served in Silence - The struggle to live authentically. Join Mark as he takes you on a journey before, during, and after the military’s Don’t Ask, Don’t Tell policy. Gibson will take you through his life story of shame and secrecy to presently living a fulfilling life complete with love and authenticity. *A portion of the proceeds of Served in Silence to benefit Rainbow House Coalition - Housing for homeless LGBT Youth.